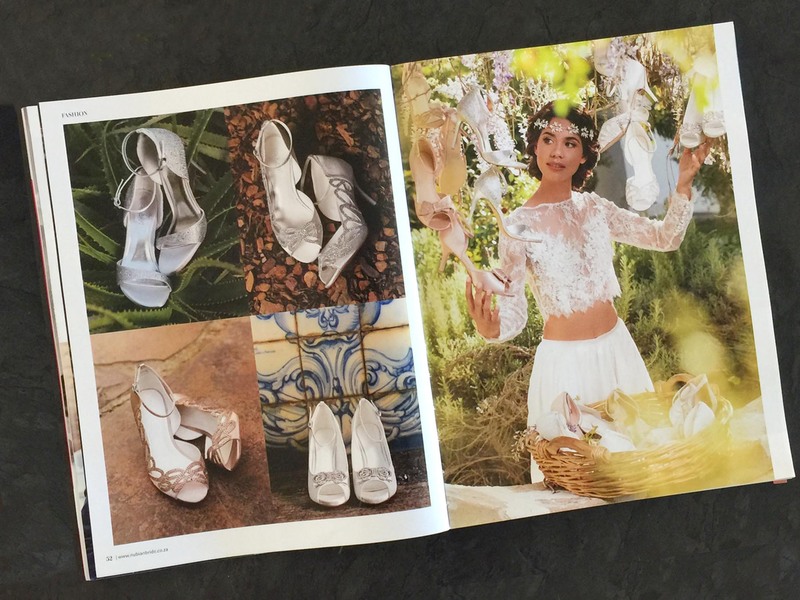 It was such a pleasure to shoot the IMAANI shoes bridal editorial for Nubian Bride Magazine! 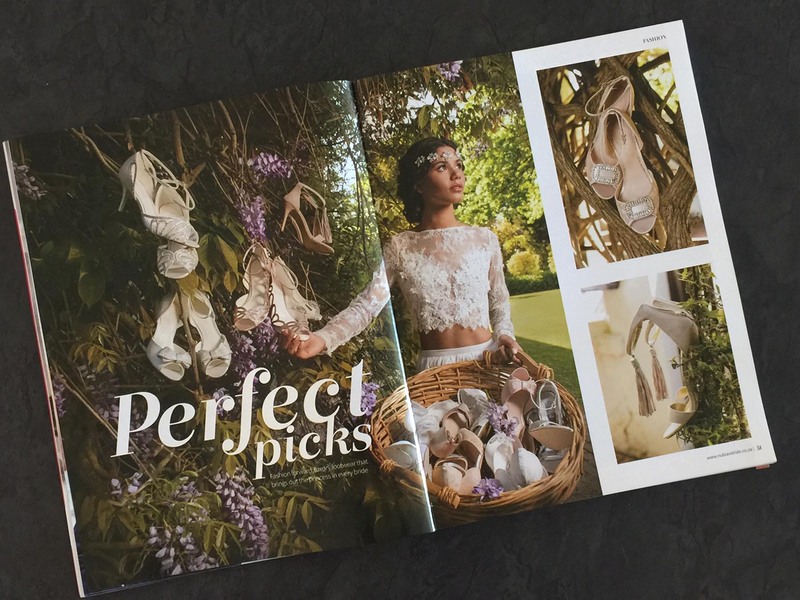 This exciting new brand is vigorously entering the South African scene of bridal footwear and they were in need of a quality editorial photography. 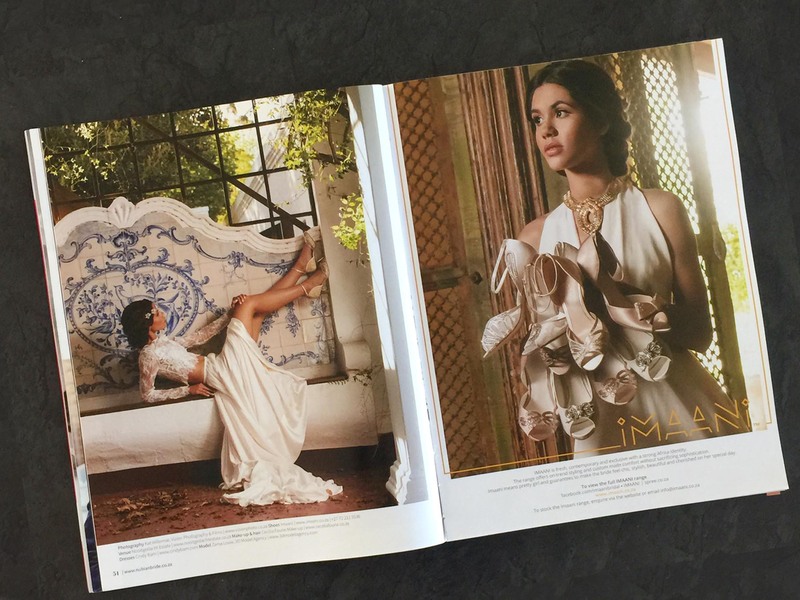 Together with the owner of IMAANI Chrystal and the chief editor of Nubian Bride magazine, we have decided on the concept for this bridal editorial. The “Garden of Eden” concept was everybody’s favourite, with shoes hanging from trees like apples. Our model was going to pick those beauties from the tree and harvest them into a basket. One of our favourite venues of all times, Nooitgedacht, opened their gates for this bridal editorial shoot. This grand estate provides the perfect background for what we wanted to achieve. 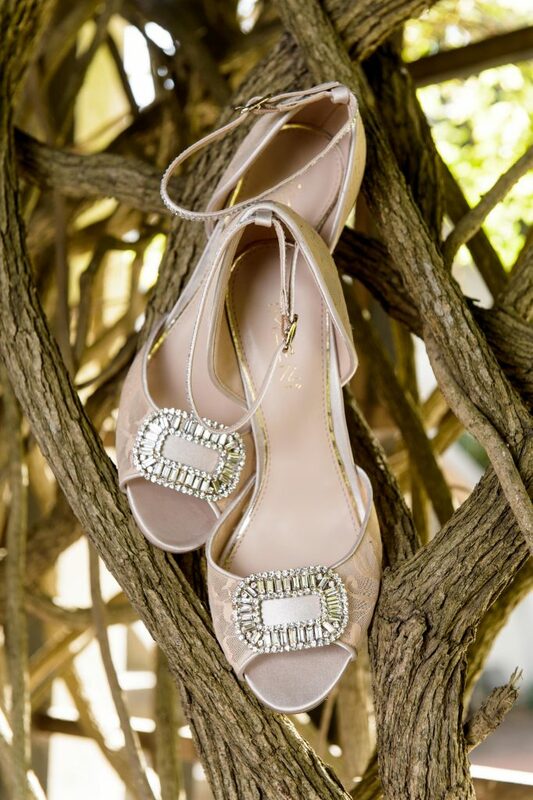 The lush garden in bloom was perfect to hang IMAANI precious shoes amongst the flowers! Our model Zania enjoyed posing in Cindie Bam’s mesmerising dresses, amongst the greenery of the garden. But don’t be fooled by the effortless look of this bridal editorial! We all had to put in efforts to bring all the elements together into perfect images, that will soon advertise this exciting new brand. The last image we wanted to capture was a shot of the bride running down the aisle with a bouquet of shoes instead of flowers. Chrystal had this idea in her mind and Nooitgedacht’s chapel was the perfect place to execute this concept. The shot came out exactly like we wanted! 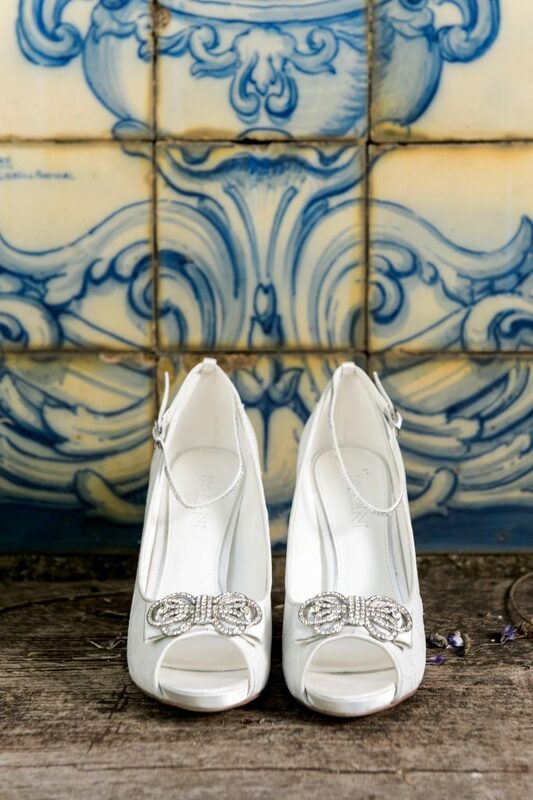 Our model Zania, with a bunch of glamorous shoes, looks great at the entrance of the chapel, almost like she is running for the wedding ceremony. This iconic shot, together with some other great images, became part of a six page bridal editorial published in the Nubian Bride summer edition 2017. Great photos and shooting skills, that two pieces wedding dress is simply stunning.